Bring your animation to life. Professional on-screen tools for precise movements. Step, play, capture, repeat. Compose and light the perfect shot with camera controls, test shots and advanced image review tools. Import and edit multiple audio tracks. Perform dialogue track reading for multiple characters. Program animated lighting with simple keyframes. Automate work lights for the animator. Simple front light / back light programming. Use the intuitive graphical interface to program advanced camera moves. 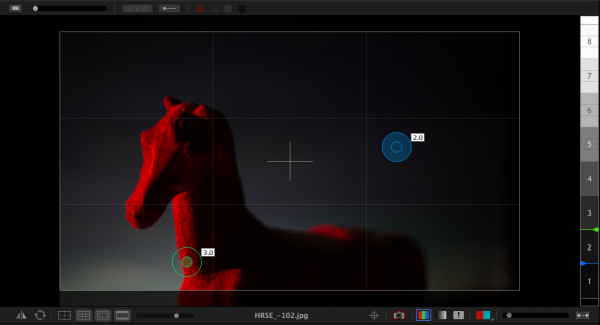 Frame-based editing as simple as drag and drop. Adjust timing, reshoot sequences, and even restore deleted frames. Mark the screen to guide your animation with vector-based drawing tools. Plot and preview motion paths with the increment editor. Plan your scene and track your progress in the X-Sheet side panel. Add reminders, sketch motion paths and adjusting timing. Configure all of your composition guides, drawing layers and reference material from the Guide Layers side panel. Set up multiple exposures (sub-frames) with different camera settings. Link exposures to keep their settings the same. 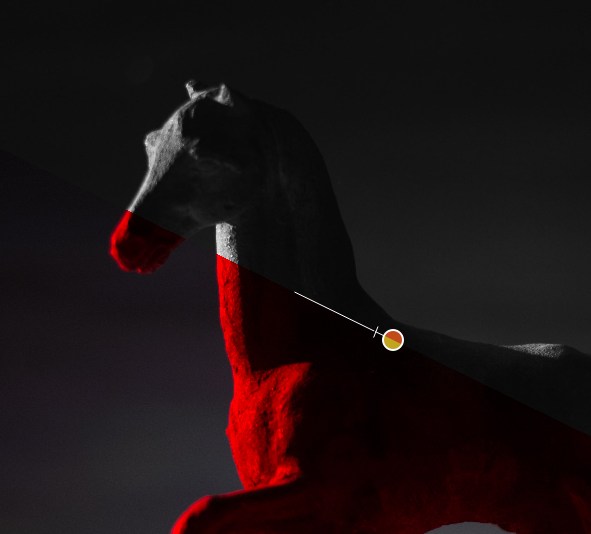 Use the color detection tool to compare tone ranges between shots, or to judge matte lighting for greenscreen effects. Create color swatches by sampling colors from your high-resolution images. Save as Adobe Swatch Exchange to share with other programs. Trigger movie recording on some supported cameras. Download videos and review them within the Test Shots tray. 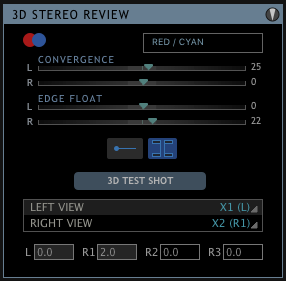 View anaglyphs, set convergence or edge float, and adjust interocular distances. Import multiple audio tracks and make basic edits. Split tracks and drag segments to adjust timing on the fly. You can even move waveforms and character track readings together, to keep them in sync. Create characters, scrub through your audio, and assign words and phonetics for all your dialogue. View this data while animating, in the X-Sheet, Timeline, or Audio HUD. View the mixed audio waveform in the Timeline or X-Sheet, so you can see what’s coming next while you are animating. Use the audio from a reference movie within the audio workspace. View the video as you scrub through the audio and perform track readings. Audio stays locked to your animation at the project frame rate. 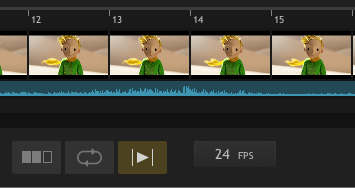 If you review your animation at a different speed, the audio adjusts to stay synced. Create your own face set as a multi-layered Photoshop file. Add groups for mouth, eyes, ears, or whatever parts you need. View character dialogue or face sets while animating, in a configurable heads-up display. Control up to 512 lighting channels in conjunction with our DDMX-512, DMC-16 or DMC+. 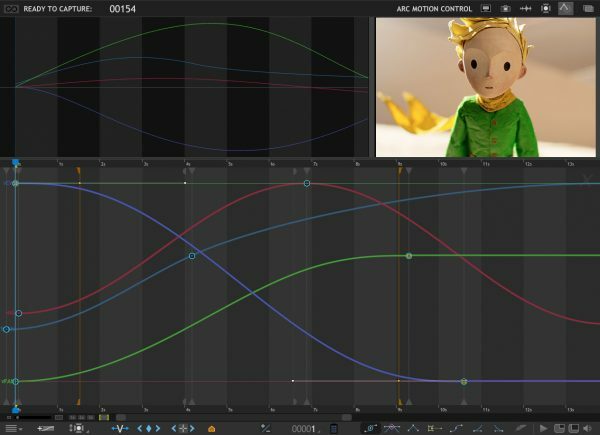 You define your lighting program before you shoot, and then watch as Dragonframe controls your lights during the shot, leaving your animators to focus on animating. Define your lighting program with keyframes. Adjust the smoothness in each direction with a simplified “bezier” handle—giving you a large degree of control while maintaining an efficient programming interface. It’s easy to create custom lighting programs for different exposures. You can customize the exposure’s lighting program directly, or create a new program for one or more exposures to share. Create custom light profiles to match DMX values to light output. Program a work light to use while animating. Integrated motion control means that you can program camera moves and lighting effects from within the same system. It means that you can quickly preview moves using the same camera you will be animating with. It means that the lighting and motion control will be in the right place, at the right time. So if the animator needs to reshoot a few frames, Dragonframe can safely move the rig back into the proper position, every time. Once you’ve programmed a move, you’ll want to test it out. Run a move test within the Arc workspace and see how it looks. The move test captures video assist frames only, in order to speed up the test process. On a long move, you can reshoot just the section you’re working on. You’ll have the move perfected in record time. You can use a wide range of hardware, from the do-it-yourself Arduino-based DFMoco sketch to off-the-shelf kits from the eMotimo or Slidekamera. See compatible hardware in our FAQ for more information. Enter the jogpad mode to get large text and a simple keypad interface so that you can step away from the computer and get near your rig and set. When used with the DMC-16 or DMC+ and a motion control crane, Dragonframe can provide virtual cartesian axes. 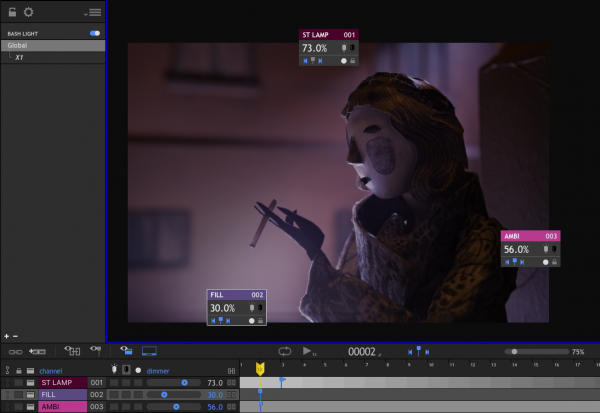 Transfer camera moves between Dragonframe and Maya, Kuper, or other 3D software. Add extra smoothing of acceleration or deceleration with the new “feathering” tool. Create motion paths by marking positions you want to hit, then adjusting keyframes to move through them. Control up to 512 DMX light channels with the sturdy DDMX-512. This is the updated model of our very popular DDMX-S2. Provides sixteen channels of fully synchronized step and direction signals at speeds up to 200kHz, a camera trigger, DMX512 lighting control, limit switch inputs, and a set of triggers for interfacing with an external device. Everything you love about the DMC-16, plus eight powered stepper motor drivers (up to 3A each @ 30V). Support for over thirty new models, including many from Sony, Olympus, Fujifilm and Panasonic. Dragonframe 4 provides both 64 and 32 bit Windows versions, for maximum performance and compatibility. Dragonframe 4 provides Hi-DPI support for Mac, Windows and Linux, rendering crisp text and graphics on hi-dpi capable systems like “Retina” Macs or the Surface Pro 4. Use Dragonframe 4 on Ubuntu, Fedora, or similar 64-Bit Linux systems. 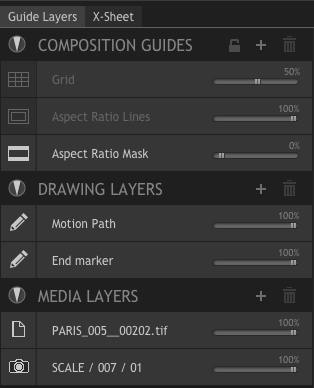 New interface for configuring composition guides, line-up layers and drawings. Load multiple line-up layers with separate opacity, chromakeying and masking. Move reference videos into a separate window and keep them off to the side. Use a reference movie as a lead-in clip to preview transitions. Create multiple drawing layers, name them, and blend them as required. Punch-in on up to three locations while animating. Check focus without having to move into Cinematography. Movie recording and playback for supported cameras. Improved audio clip handling, with multiple tracks, separate volume, muting, etc. With the new DDMX-512 (or an updated DDMX-S2), you can now control 512 DMX channels. Create a light profile to better match the DMX level and the light output. Improved live view and test shot setup in DMX. Configure the DMC-16 or DMC+ to control a boom/swing/track camera crane using x/y/z axes. Name your project based on the classic clapboard naming convention. Create multiple takes within the same scene project. This carries over all of your camera settings, exposures, camera moves, notes, etc. Manage the project from a dynamic exposure sheet that updates automatically as you add exposures, audio phonemes, camera moves, and change scene length. Enter notes that pop up when it’s time to capture a frame. 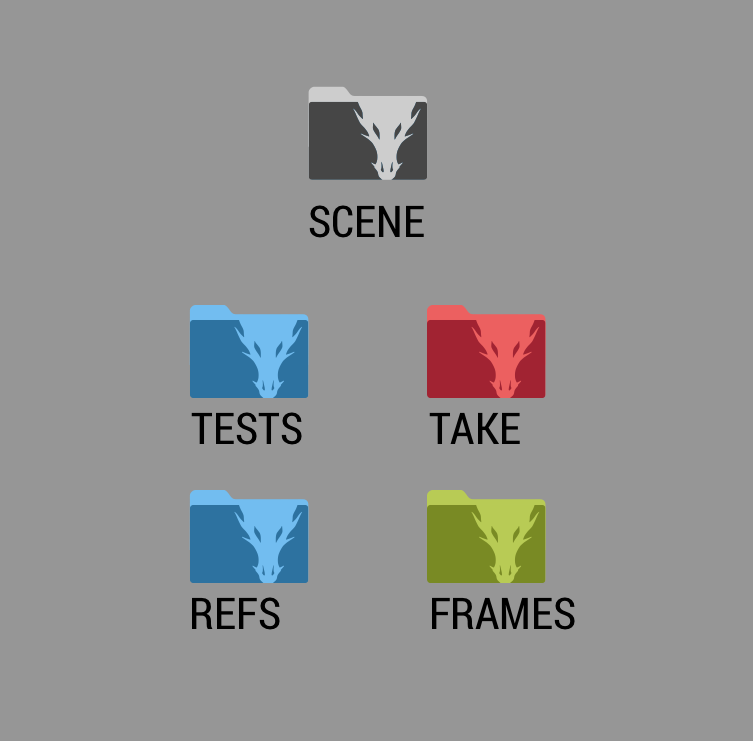 Duplicate a scene or take from within Dragonframe. Shoot multiple passes for each frame for effects like front light/backlight or stereo pairs. Adjust your still camera’s shutter speed, aperture, ISO with visual sliders. Adjust shutter speed and aperture together to affect depth of field without adjusting exposure. Adjust live view exposure simulation to match final shot (Canon EOS only). 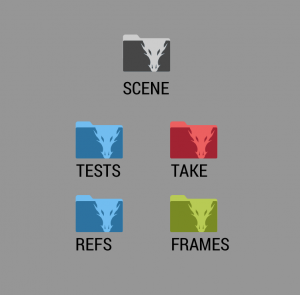 Dragonframe saves your camera’s settings and restores them when you re-open the scene. Lock camera settings for each exposure. Save test shots separately and view them during any take of a scene. Import any images and view them at full resolution. Quickly see if you are clipping in the highlights or bottoming in the blacks. Compare and match areas of exposure regardless of monitor inconsistencies. Adjust the area around images in Cine widow to give your eyes a rest—or to suit the imagery. Add a standard or custom aspect ratio mask and adjust opacity. Frame for both 16:9 and 4:3 in one view. Add an adjustable push-in mask for checking TV-safe and framing for pre-planned push-ins. Add up to two custom grids to help with horizon line-up and composition. Emulate ground glass with composition guides in the guide layers. Full integration with the most cameras: Canon, Nikon, Sony, Olympus, HDV, HDMI and more. Use Dragonframe with many unsupported DSLRs. Darken your monitor while capturing to keep its glow from interfering with your lighting. Pause live view after configurable period of inactivity to avoid overheating. Average 2-60 frames to reduce video noise (video only). Capture live view and then wait for external shutter release (for timing motion control shots). Step directly from captured frames to your live view. Blend the live view over any frame in your animation. Toggle between live view and captured frames with adjustable speed. One keypress toggles between live and captured frames, then back again when released. Quickly navigate your animation sequence, as well as select frames for playback. Play back either your video assist frames or proxies of your full-resolution captures. Play back the last twelve frames (configurable). Draw paths and lines on screen to assist with animation. Useful for re-lining up a shot if camera or set is bumped. Useful when character is dark and background is light, or visa versa. Import images, movie files, or Dragonframe scenes as a line-up layer for easy double-pass line-ups, chromakey, or onion-skin. Use basic chroma key (green screen) pull for line up of effects shots. 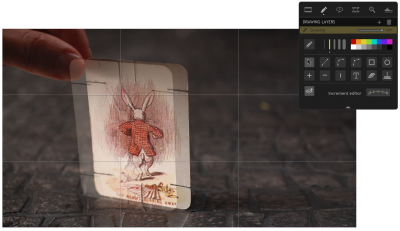 Adjust rotoscope layer orientation, scale and position. Mark in and out points for playback and looping using the Nav-Line. Simple interface for re-mapping the default keyboard commands. Use Canon, Nikon, Olympus or Fujifilm live view magnification to punch in on a section of the video assist image. Send main view to second monitor (video village). Automate 3D shooting with a stereoscopic slider. Take 3D test shots and use the 3D review tools to evaluate them. Play 3D sequences using anaglyphs or transparencies in color or black and white. Export 3D sequences to various movie formats. Set an interval in hours, minutes, seconds. Start time-lapse at a future date or time. End time-lapse at a future date or time. End time-lapse after specified number of frames are captured. Capture within 0.1 second of the specified interval with most cameras. Your camera’s high-res source files are saved in an easily-accessible directory. Create a QuickTime, AVI or MP4 movie with many export options. Export your frames in different image formats, customize naming, etc. Import image sequence directly from scene source location.